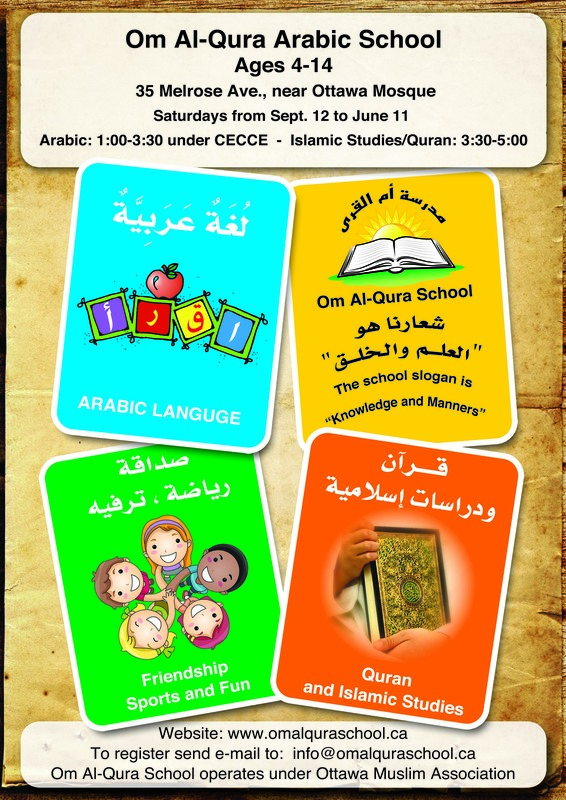 Om Al-Qura school appreciates early registrations and wishes all families a wonderful and peaceful day! 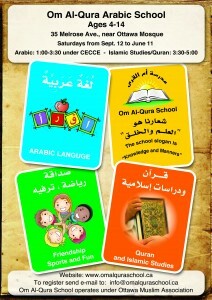 Arabic from 1:00-3:30 and Islamic Studies from 3:30-5:00. 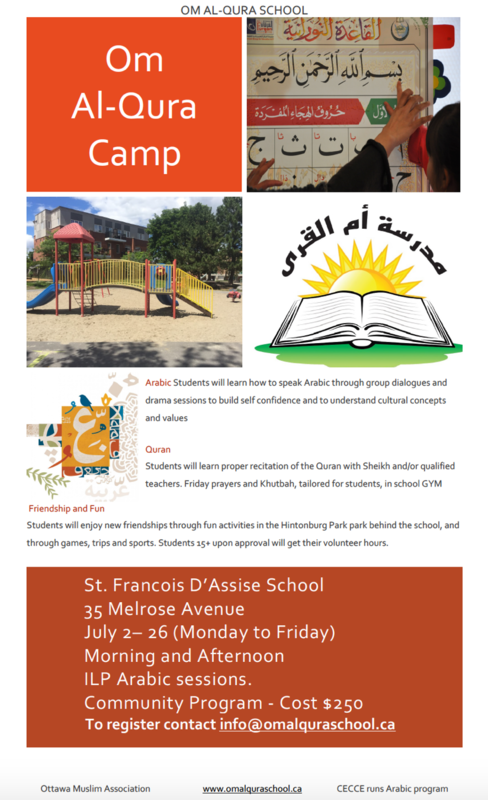 Arabic hours free of religion content at a $10 cost for Ontario students, $150 for Quebec students. Monday to Friday at at SFA school, 35 Melrose Ave.
Arabic hours free of religion content at a $10 cost for Ontario students, $90 for Quebec students.